In the wake of last week’s tragic accident that resulted in the death of a 6-year-old boy named Amar Diarrassouba, it is imperative that we address and correct the causes of this tragedy to ensure that an accident like this does not happen again in our district. 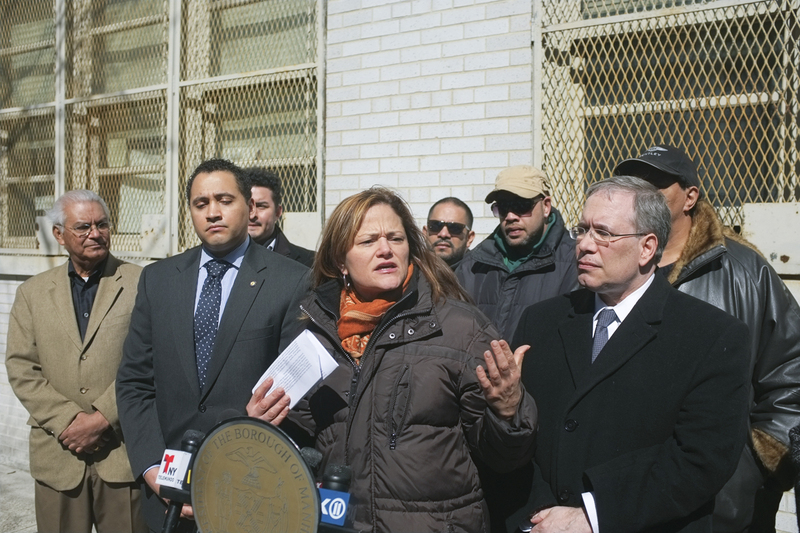 Melissa, along with Manhattan Borough President Scott Stringer and State Assemblyman Robert Rodriguez, held a press conference outside of Diarrassouba’s school. They called on the DOT and NYPD to take a zero tolerance measure against large trucks on non-designated streets, such as the narrow, one-way residential East 117th Street towards First Avenue, where the accident occurred; and to address the possible need for additional crossing guards at busier intersections. Following the press conference, Melissa wrote to Commissioner Janette Sadik-Khan of the DOT and Commissioner Ray Kelly of the NYPD, to open up conversation about traffic enforcement and to make some requests. Please find the letters below. We will make sure to keep you updated on our further collaborative work with the DOT and NYPD on this matter. This entry was posted in Blog, East Harlem, Press Conferences and tagged busy intersections, crossing guards, East Harlem, NYC DOT, NYPD, traffic regulation, truck traffic. Bookmark the permalink.